Going Out of Business. Q+A With The Decoy! 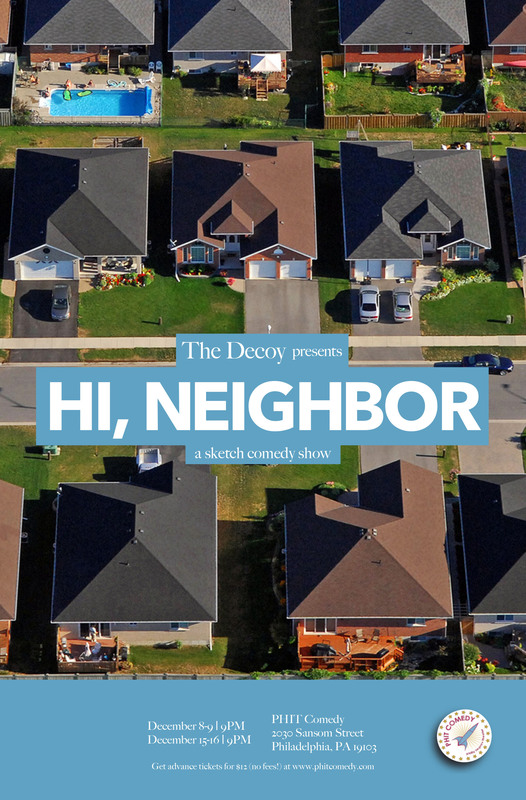 House sketch comedy team The Decoy has been a mainstay at PHIT for 3 years. 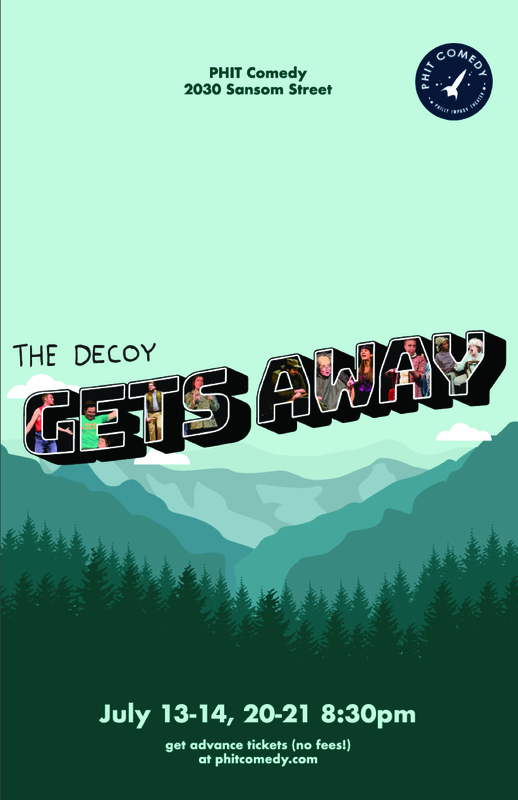 Their last show, The Decoy’s Going Out of Business is on stage this Friday at Saturday at 9. 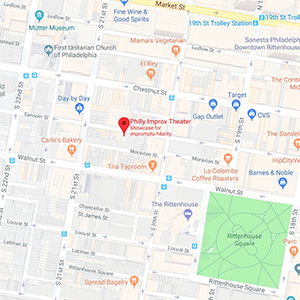 Before they head off into the great unknown, cast members Molly Scullion, Carolyn Beatty, Chris Berg, and Pat Reber share some of their favorite memories from their long run. 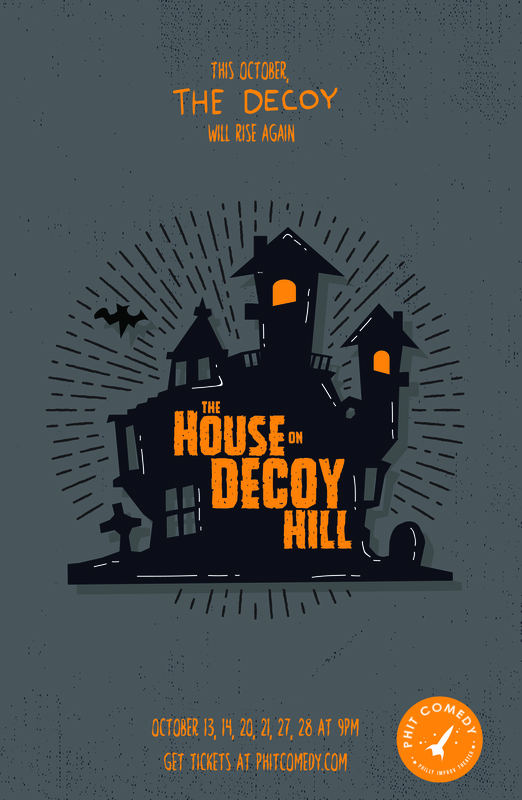 How did Decoy first come together? Molly: The Decoy first came together in the summer of 2016. Brian Rumble and I selected the writers from packet submissions, and Brian casted the actors shortly thereafter. Almost immediately, everyone clicked and we hopped into writing our first show. What makes Decoy unique from other sketch teams? Molly: I think because of how we all worked together from the beginning, we quickly developed a voice that is uniquely ours. We are not afraid to do something weird, something musical, something thematic, something we’ve never done before. Each person on the team commits from the writing to the performance to the production. Our first show had a pool noodle in a trench coat as the most popular girl in school, so I think that set the tone for the rest of our run. Chris Berg: As a group consisting of many former/current high school theater kids, we definitely skew towards the theatrical and approach our shows as if they’re one-act plays. 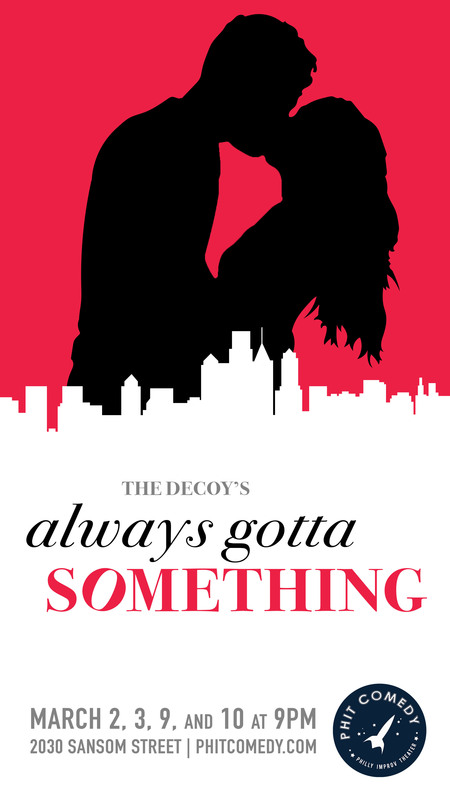 Pat Reber: The decoy is unique because our philosophy comes from a place of love more than anything else. in writing and performing, we try to make fun of stuff like we would make fun of a friend; it highlights the weird things we love about them. What will you miss the most about being on Decoy? Molly: The collaborative writing and discovery. The amount of things that ended up on stage because of some goofy rabbit holes we went down is countless. I’ll really miss that particular writer’s room. Carolyn: All the snacks!!! I’m talking Bugles, Doritos, Tates Cookies, AND MORE! We have truly spoiled ourselves these last 3 years. Also working with collaborators I trust implicitly. It’s been an absolute treat to write and perform with these goofballs who have become family. Pat Reber: Just like the Friends TV show, we’re all friends in real life, too! What’s the your favorite sketch from the past 3 years? Molly: It is so hard to choose because there are so many favorites for so many reasons, but my favorite to perform was probably “Jan, Nan and Jayne” from our Museum of Art show. They were such fun characters with ridiculous and fast paced dialogue that made the whole thing so fun to do. I will be reviving the blazer I wore in that sketch for this final show. Chris Berg: I can’t pick just one, but I think of Tyler and I as two dads admiring a boat pretty often. What was your process in coming up with this show? Molly: We decided that we would just make this the most Decoy of Decoy shows as possible. We came up with the title early on and some of the sketches have to do with goodbyes and endings, but most are just things that we wrote for each other. Carolyn: I think this was the easiest theme we have settled on to date. It just fit us so well and felt like the perfect goodbye. It’s really really kooky, just like us. Molly: PHIT has been my home for many years, and to get to have a consistent and wonderful place to perform has been a total gift. It’s given us the opportunity to just focus on the content of the show, knowing PHIT would provide everything else. Do you have an official farewell message you’d like to share with your loyal fans? Molly: I hope we do our run justice with this final show! If you’ve seen our shows before, you’ll definitely spot some easter eggs, as well as some familiar types of sketches (yes, there’s a song). Thank you for supporting this weird and wonderful project through the years. I promise this final run will not let you down. Chris Berg: Good-bye and THANK’S for enjoying the goofs. Molly: Whether you’ve seen every show or none of our shows, you’ll love this show! Oh, and please sing along (you’ll get what I mean). Chris Berg: The dog’s name is Turkey.